San Francisco was once known as a soulful, bohemian city, with artists and musicians alike attracted by its welcoming and open-minded reputation. However, San Fran is perhaps now more synonymous with tech entrepreneurs, with Silicon Valley wealth driving up the prices of living considerably. As properties prices skyrocket and iconic art galleries close down due to unaffordable rent, the city has arguably lost a little of its authentic, counter-cultural identity. 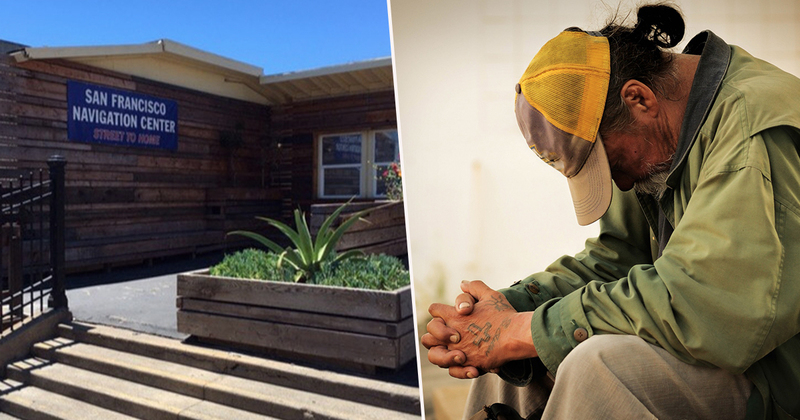 And nowhere is this best illustrated than a new GoFundMe campaign to stop a homeless shelter opening in the Embarcadero district, one of San Francisco’s most affluent neighborhoods. Embarcadero residents have so far raised over $60,000 dollars – with a stated goal of $100,000 – at the time of writing. Money which arguably would have been better spent on providing basic necessities for homeless citizens. Instead, this money will go to a local attorney who will work to oppose the shelter on behalf of the residents, one of whom has donated a staggering $10,000 towards the cause. This effort will require your help by showing up to hearings and community gatherings and making a financial contribution to a legal fund. A small group of interested parties will help coordinate the legal strategy with counsel. Rich people hate the homeless. They're fundraising to oppose the new Navigation Center on the Embarcadero. 36 minutes ago, someone donated $5,000. They'll gladly spend 5k to OPPOSE a homeless shelter. I get that people have questions about the site, and we are happy to demonstrate how these sites work and the positive impacts they have had in other neighborhoods, but we all need to be willing to be part of the solution. The Waterfront Embarcadero Navigation center was intended to be built on a 2.3 acre vacant lot in the Embarcadero district, providing 200 beds for homeless individuals. The construction of this shelter would go towards fulfilling the city’s promise to provide 1,000 extra beds for homeless residents. As reported by The Guardian, there are currently 7,500 homeless residents in San Francisco, with over 1,400 are waiting for temporary accommodation. they might be richer, but there's more of us! Showing the true spirit of San Francisco’s vibrant activist heritage, a rival GoFundMe campaign has been set up in support of the Navigation Center. The funds will be used exclusively to support the amazing work the Coalition on Homelessness does to support our unhoused neighbors.